Chemical models developed to help limit the emission of pollutants by car engines are being used to study the atmospheres of hot exoplanets orbiting close to their stars. The results of a collaboration between French astronomers and applied combustion experts will be presented by Dr Oliva Venot and Dr Eric Hébrard at the European Week of Astronomy and Space Science (EWASS) 2018 in Liverpool. Large planets similar to Neptune or Jupiter, orbiting 50 times closer to their star than the Earth does from the Sun, are thought to be composed of hydrogen-rich gas at temperatures between one and three thousand degrees Celsius, circulating at enormous speeds of nearly 10,000 kilometres per hour. 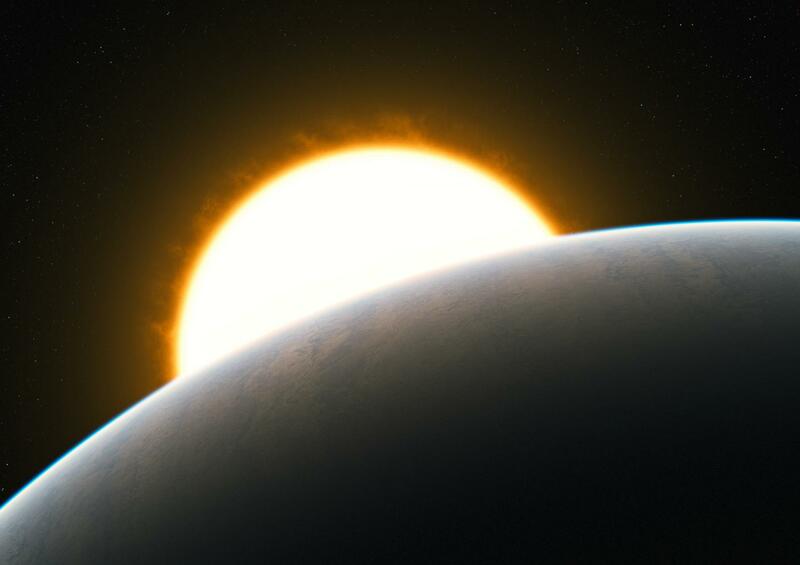 With these extreme conditions, the interplay of various physical processes, such as vertical transport, circulation or irradiation, can drive the atmospheres of these hot exoplanets out of chemical equilibrium, resulting in deviations that are difficult to explain through standard astrophysical models and observations. Venot, of the Laboratoire Interuniversitaire des Systèmes Atmosphériques, explains: "The philosophy of our team in solving problems is to search for and import well-tried methods from any other field whenever they exist. Back in 2012, we first noticed the overlap of temperature and pressure conditions between the atmospheres of hot Jupiters and car engines. Chemical networks developed for car engines are very robust as a result of years of intense R&D, laboratory studies and validation through comparison with numerous measurements performed under various conditions. The car models are valid for temperatures up to over 2,000 degrees Celsius and a wide range of pressures, so are relevant to the study of a large diversity of warm and hot exoplanet atmospheres." The project grew out of an initial collaboration between the Laboratoire d'Astrophysique de Bordeaux and the Laboratoire Réactions et Génie des Procédés in Nancy. Over the past six years, the team has developed models of the chemical composition of hot Jupiter and warm Neptune atmospheres based on one or several networks of chemical reactions. These chemical networks have been made available through an open access database and are now widely used and recognised in the international astrophysics community. "It is an important part of our team's philosophy to make input data and tools available to the community," says Hébrard, of the University of Exeter. In addition to car testing, the team has also drawn on the expertise of researchers working on particle accelerators. Data on the ability of molecules to absorb ultraviolet light have, to date, been available mainly at room temperature. Experiments at synchrotron facilities at the Laboratoire Interuniversitaire des Systèmes Atmosphériques will enable measurements to be made at temperatures relevant for exoplanet atmospheres. "Other fields of research have an important role to play in the characterisation of the fantastic diversity of worlds in the Universe and in our understanding of their physical and chemical nature," says Venot.